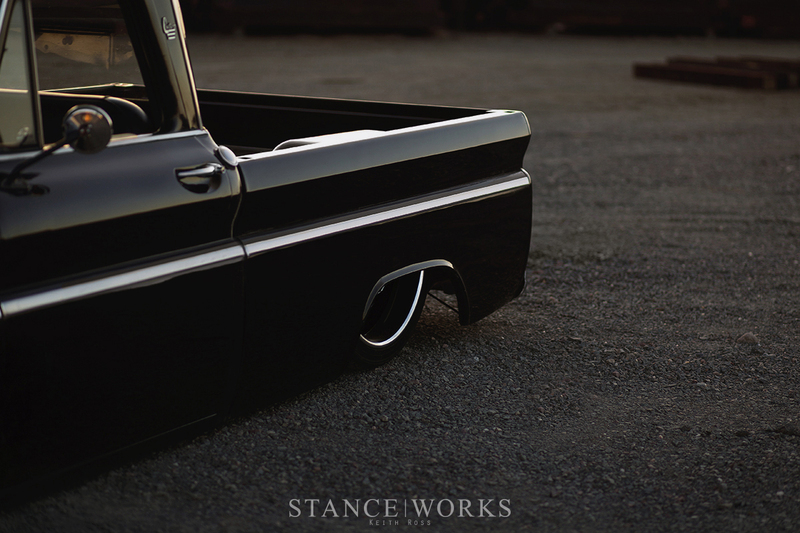 Dave Cantrell's 1966 C10 GMC Shortbed - Captured by Keith Ross. For most, it's clear that in the '50s and '60s, the Big Three were on to something. From the towering fins perched atop Cadillac fenders, to the tiered, rolling hoods of classic Chevy trucks, the automotive design language of the time was unparalleled, and has since left us with a truly special and eclectic collection of classics, many waiting for their chance at a second life. Cars and trucks of the era were sculpted and resculpted, year after year, bringing forth new designs and ideas to the world of automobiles with each new model year - a design method long since relegated to years past. 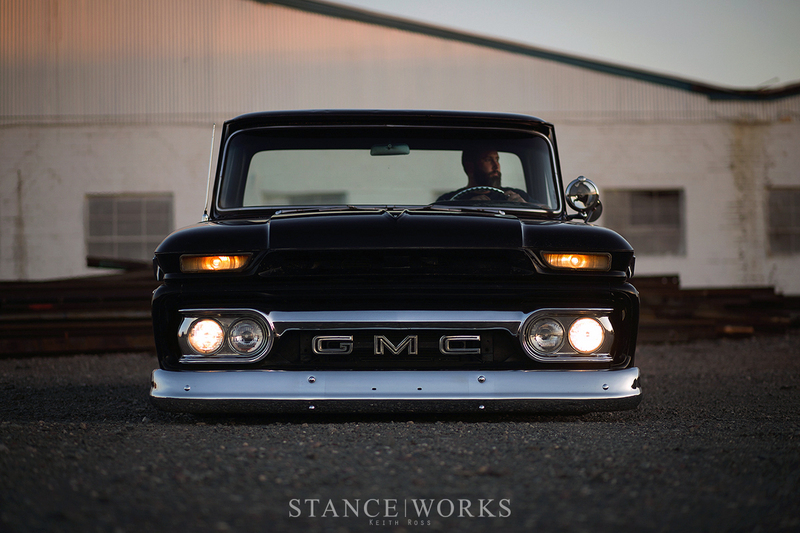 Today, it's up to those who choose to restore, repurpose, or simply preserve these bits of automotive history, and Dave Cantrell's 1966 GMC C10 Pickup is a prime example of what can come of such iconic, crafted steel. Introduced in 1960, and carried forth until 1998, the C/K series of Chevy and GMC trucks have been a lasting staple in the American auto market. 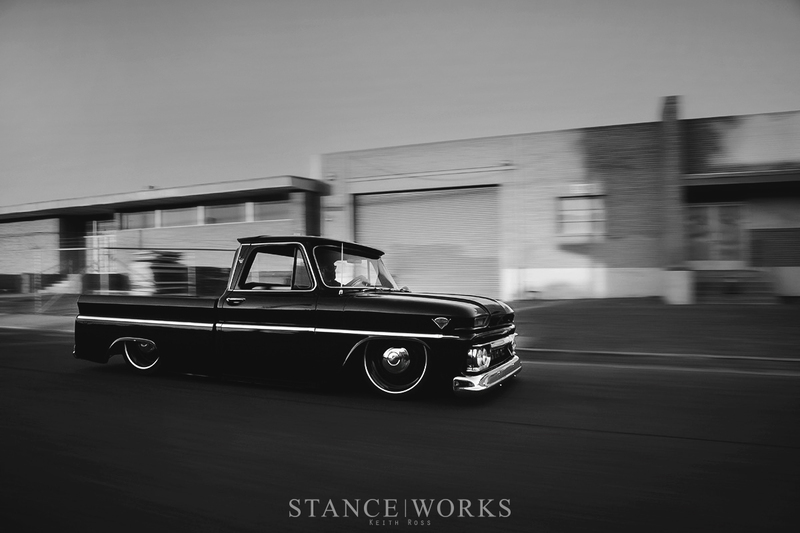 Since the C10's introduction, alongside baseball and blue jeans, pickup trucks have become an essential part of Americana, and with good reason. It's largely in part thanks to those golden years of design and manufacturing that helped combine practicality and utility with American ingenuity, engineering, and best of all, design. 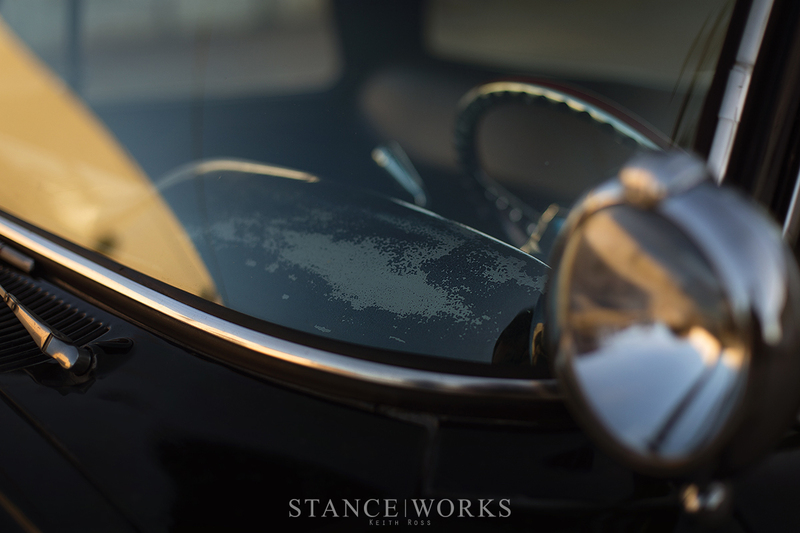 Thanks to the incredible talents of Keith Ross, we're given the chance at a closer look of Dave's beautiful truck and the nuances, details, and touches that help make it whole. 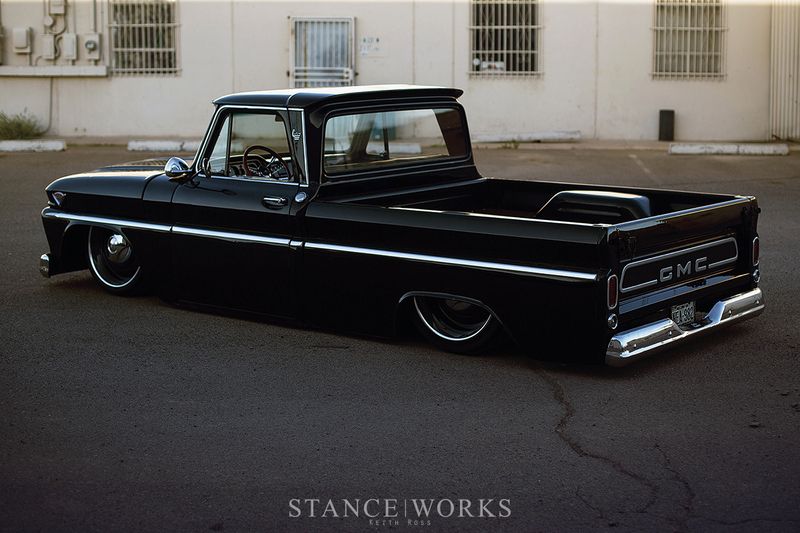 Its deep, wet black paint manages to envelop the entire truck, tossing the all too common trope of two-tone paint in favor of a dark, shaded presence. 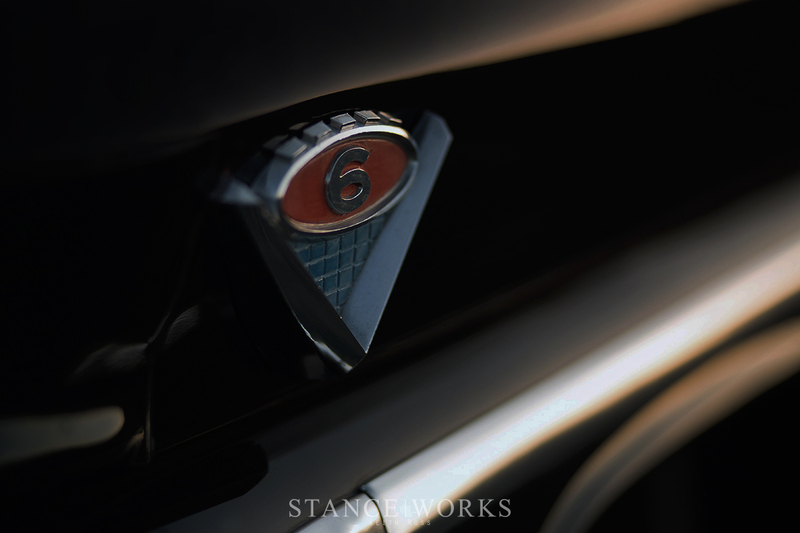 The wheels have received the same treatment, allowing only the chrome and polished brightwork on the truck to highlight its shape, form, and figure. 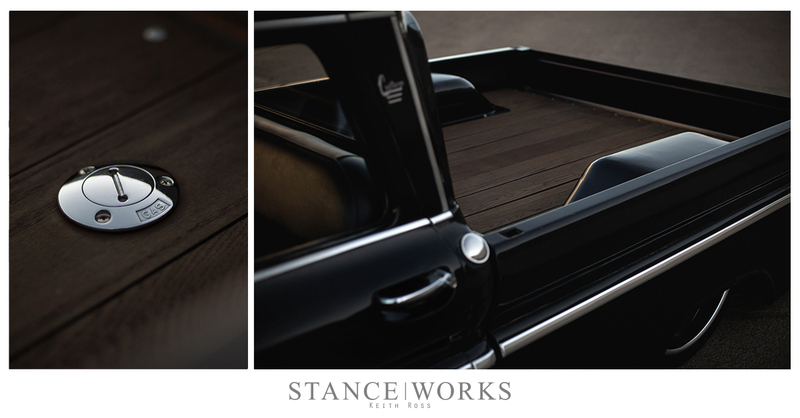 Whether it's the quality of the restoration, the flat-on-the-ground stature, or the classic lines that have been both preserved and improved upon, it's undeniable that there's something special behind the aesthetics of this one-of-a-kind truck. 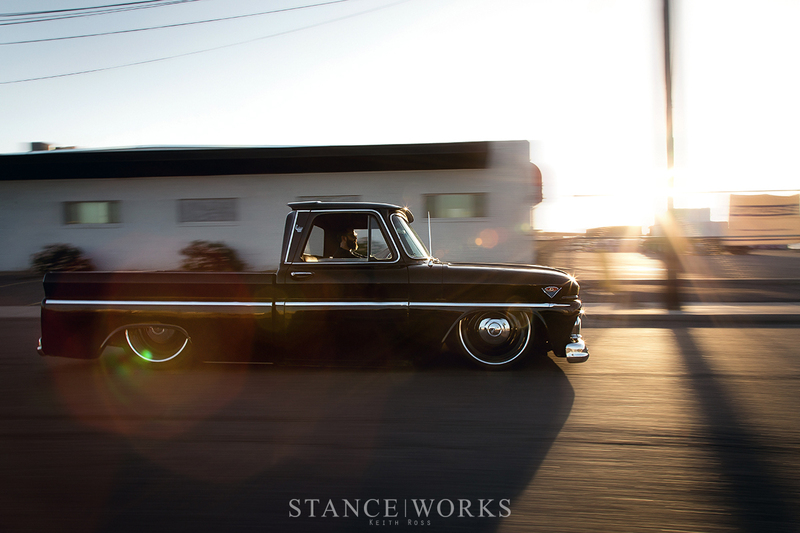 Epic photos of a beautiful truck. Please more Keith Ross photography! One of these needs to be released as a Desktop Wallpaper. Amazing photos Keith! 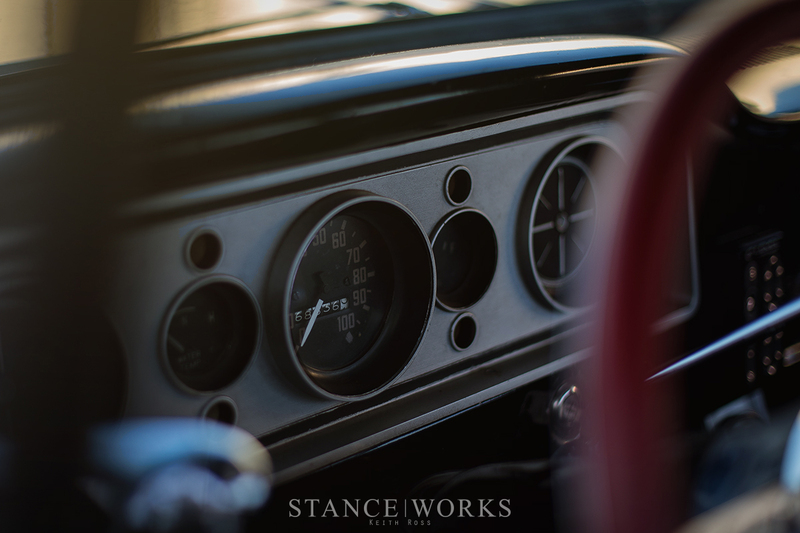 I’ve seen your photo’s before of your Volvo Amazon.. and this is pure inspiration! 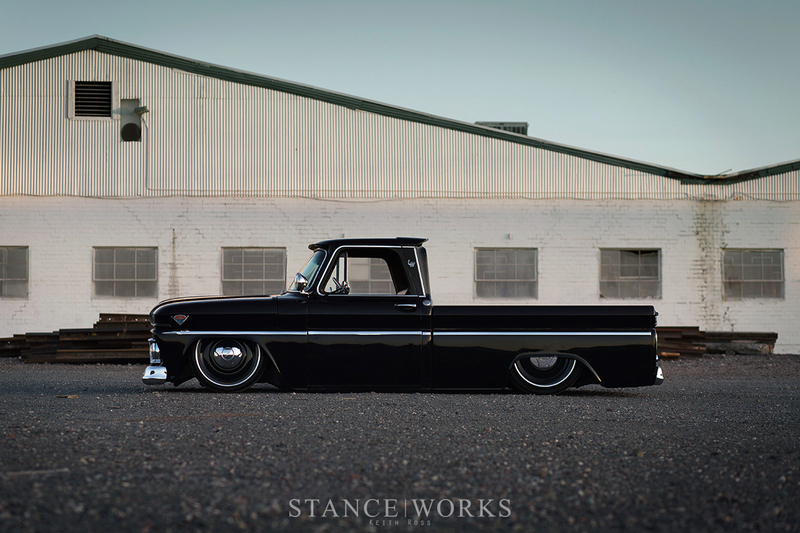 That is one stunning truck… thanks for the photographic inspiration K. Ross!